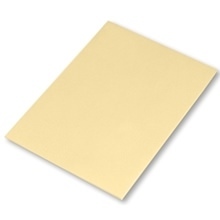 TexWrite® cleanroom bond papers reduce the risk of particle generation associated with standard papers. TexWrite® is impregnated with a synthetic copolymer. 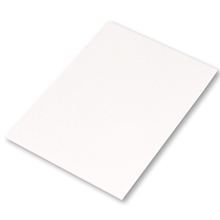 Unlike other cleanroom papers, TexWrite® is formulated without inorganic fillers such as calcium carbonate, titanium dioxide or aluminum silicate that may be a source of ionic cleanroom contamination. 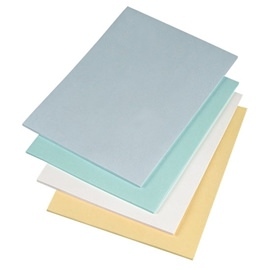 Available in white (22 & 30 lb), blue (18 & 22 lb), yellow (22 lb), and green (22 lb) to allow for easy identification as cleanroom paper or to differentiate between shifts, areas or projects. • No organic fillers with very low particle counts and sodium levels. You may also be interested in our Cleanroom Clipboard or Cleanroom 3-Ring Binder for use with your cleanroom paper.